Can you solve this easy crossword? PLAY this amazing homeopathic crossword for January 2019. 1. Which Bach flower remedy is best characterized by fears of unknown origin? 2. Thiis remed from Woody NIghtshade is worse in cold, damp, rainy weather. 3. Acid remedy made from an acid that can't be stored in glass. 4. Acid remed with keynote sensation as if the white of an egg had dried on the face. 5. Which Bach flower remedy is characterized by utter despair? 6. 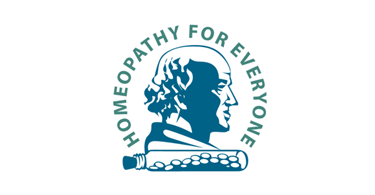 Dr. John Martin Honigberger first introduced homeopathy into this country. 7. Alternation, periodicity, and susceptibility to fungal infections best characterizes this miasm. 8. Which miasm is characterized by slow progressive development, flluid retention and multiple cutaneous papillomata?. 9. Globus Hystericus, rapid alternation of emotional state, paradoxical symptoms, effects of prolonged grief. The remedy? 10. This remedy is made from Nitric acid and a member of the Phenol series. Useful in brain fag. Sllight exertion causes exhaustion. 14. Remedy made from Rosin Wood. One keynote is, stops breathing when he falls asleep. 17. Headache from thundery weather, clairvoyance, bruising easily, tall, think morphology best describe this constitution. 18. Aurum, the Mercurius remedies and Nitricum acidum are most often associated with this miasm. 19. Fat, chilly,dyspeptic, moist cutaneous eruptions with honey like discharge, absence of perspiration suggest this remedy. 20. Susceptibility to respiratory infection, can't gain weight in spite of good appetite, profuse sweating, allergies. The miasm? 21. This bowel nosode bacillis remedy is most often associated with nutritional disorders in children. 22. HNO3 - Acid remedy characterized by splinter-like pains. 23. Hans Birch Gram first introduced homeopathy into this country. 24. This non- metal elemental remedy has ravenous appetite, with great emaciation, enlarged glands. Atomic number 53.
what a good idea!! Homeopathic cross-stich!! being a french speaking, there a some words I don’t know the good writing in english, but it makes me practicing!! That’s good!!! Would like it if you have more of that! !